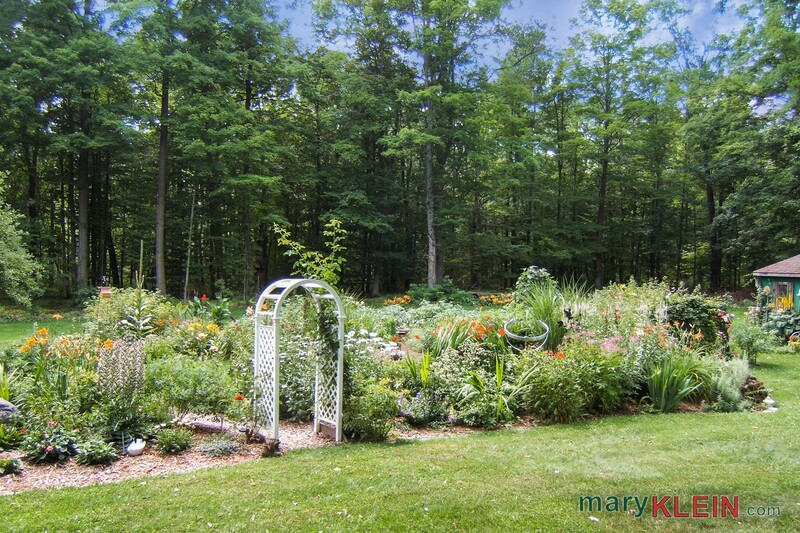 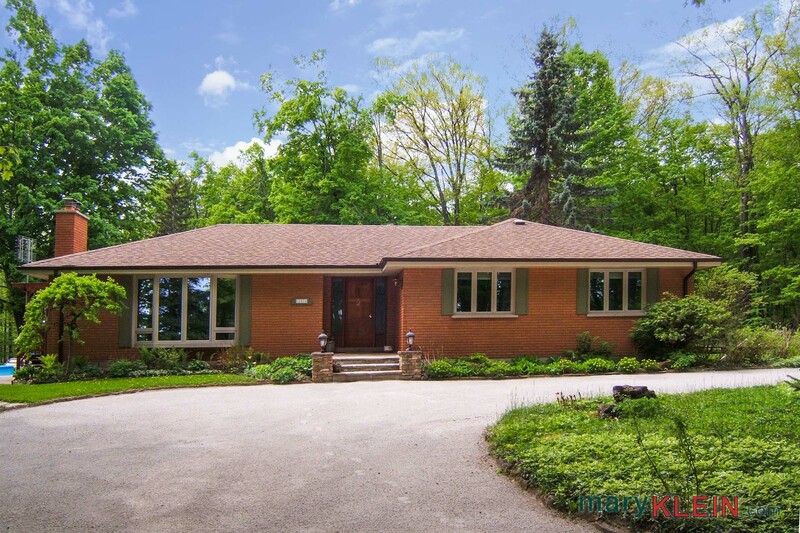 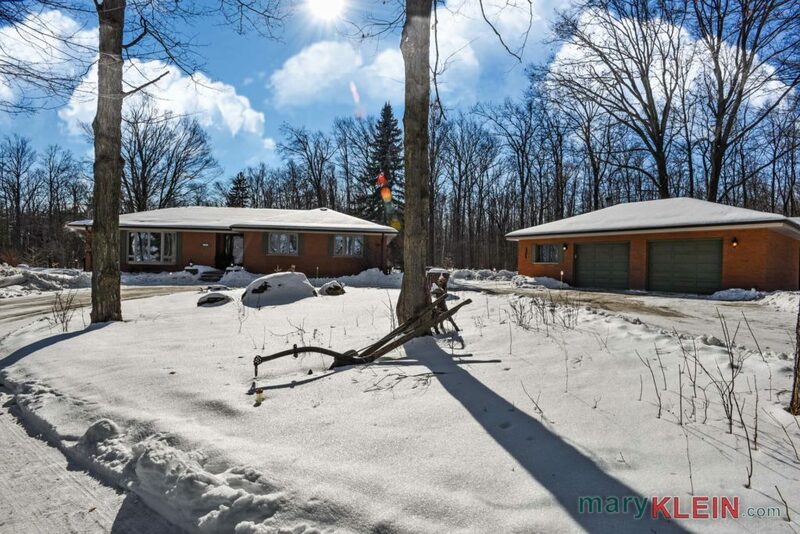 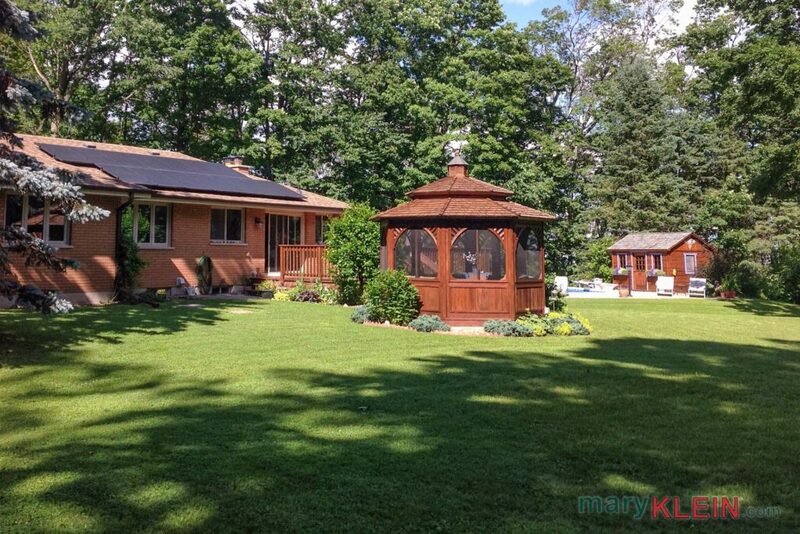 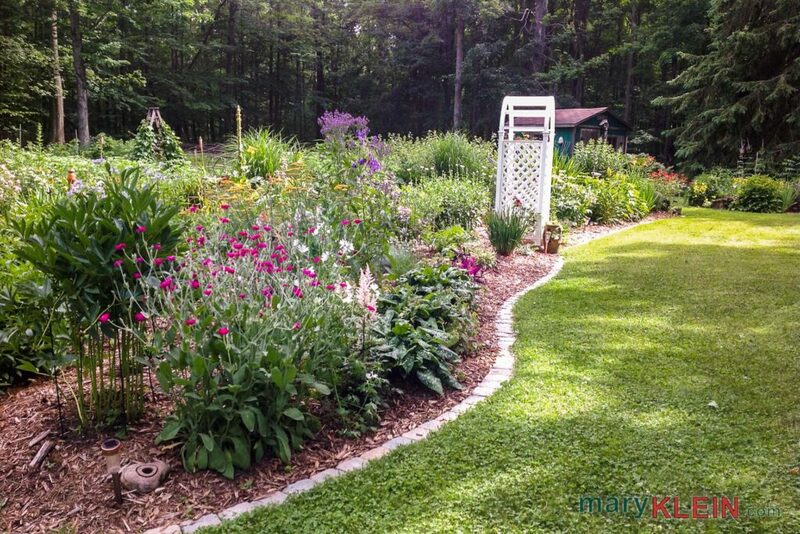 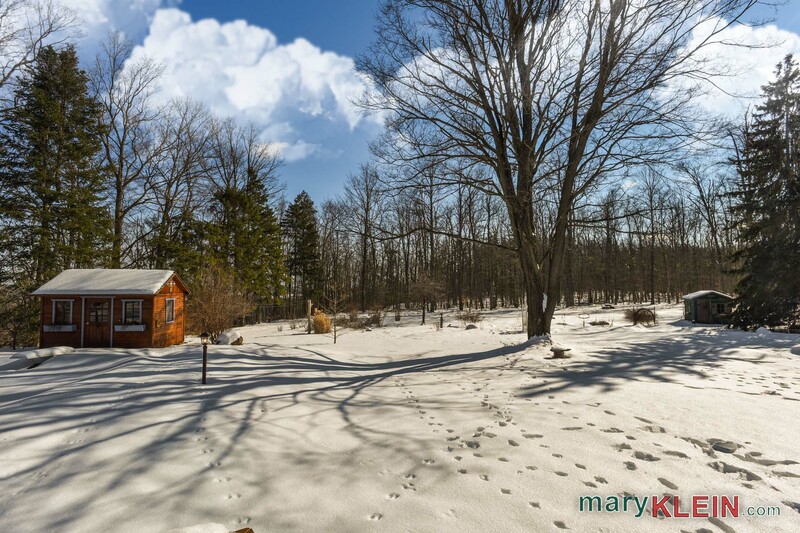 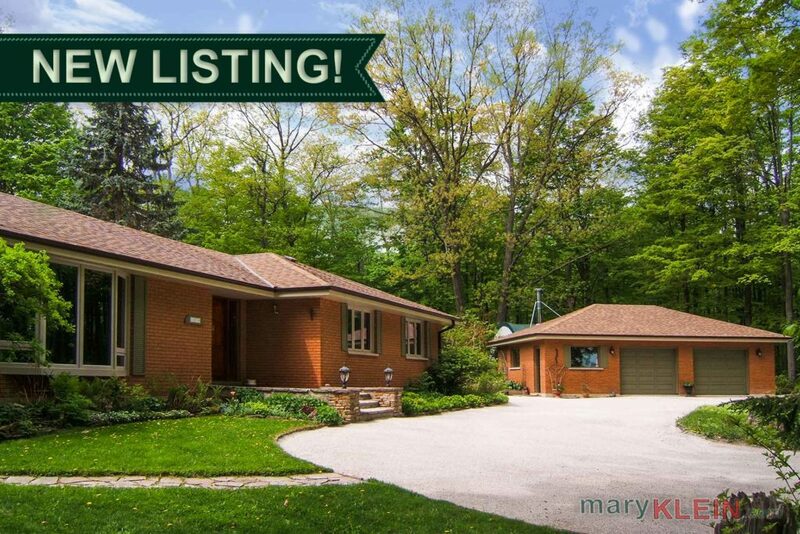 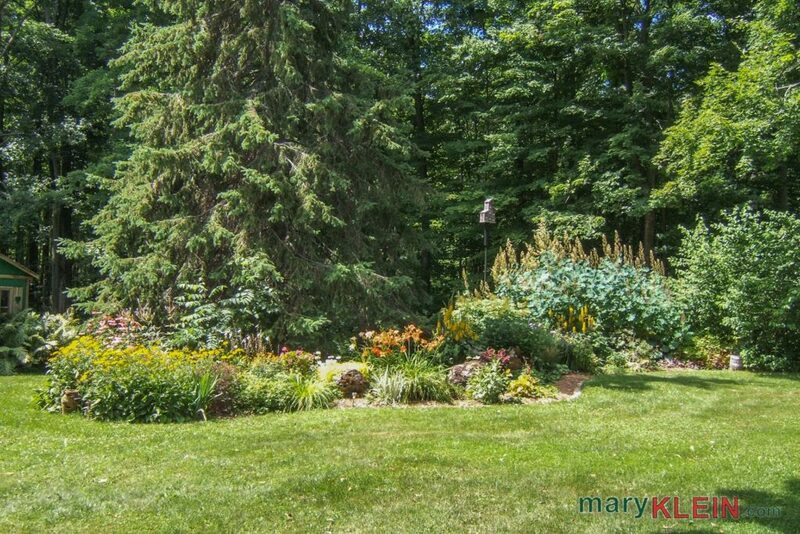 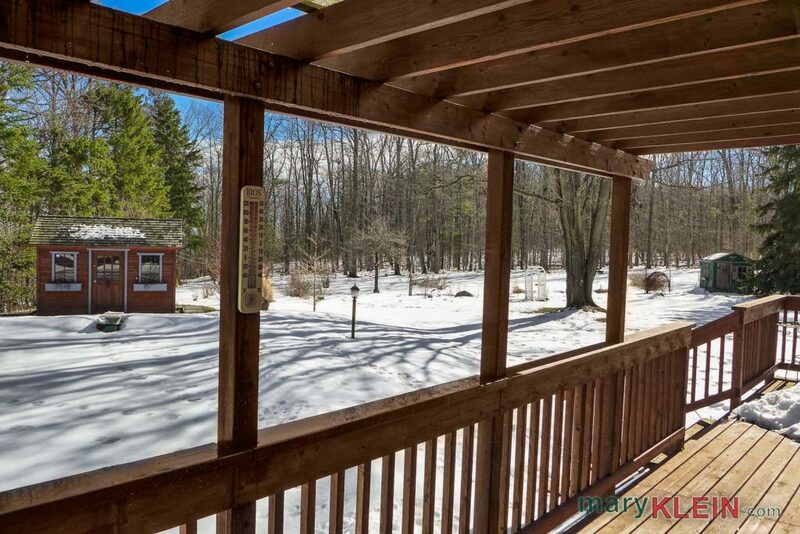 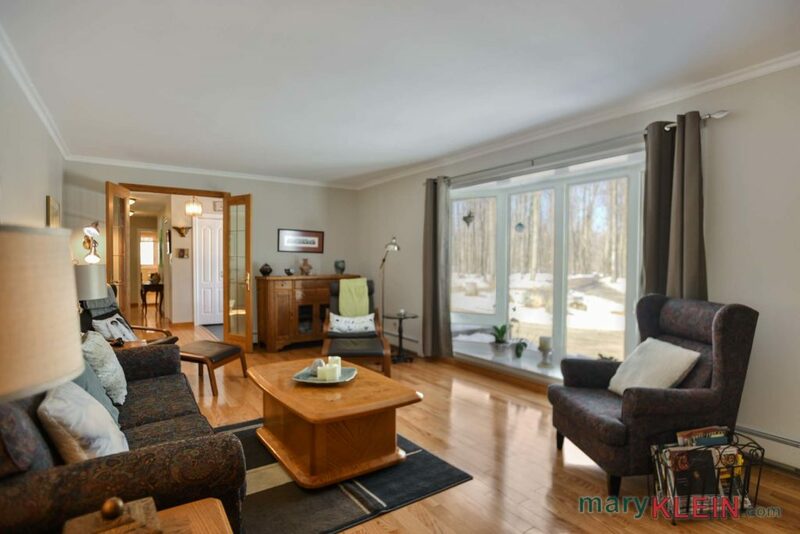 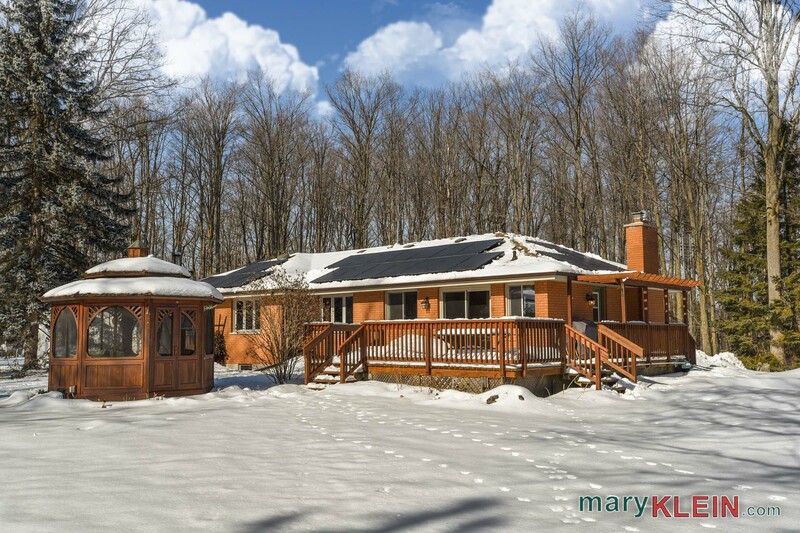 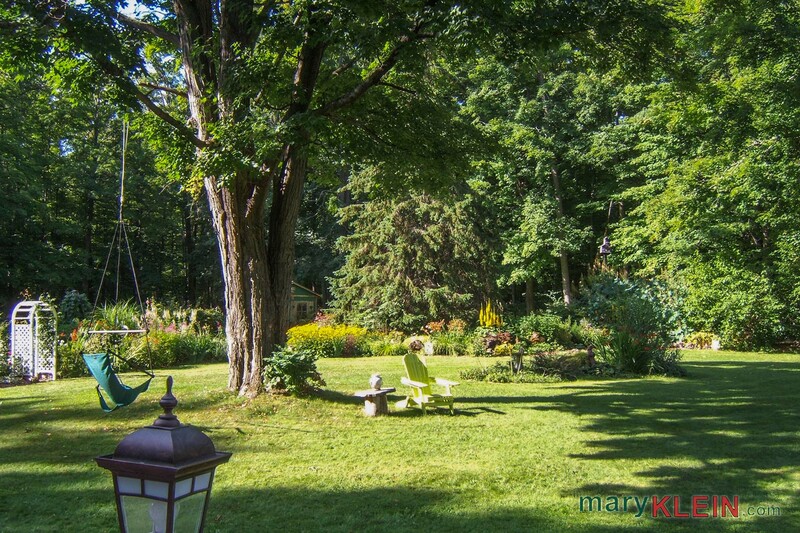 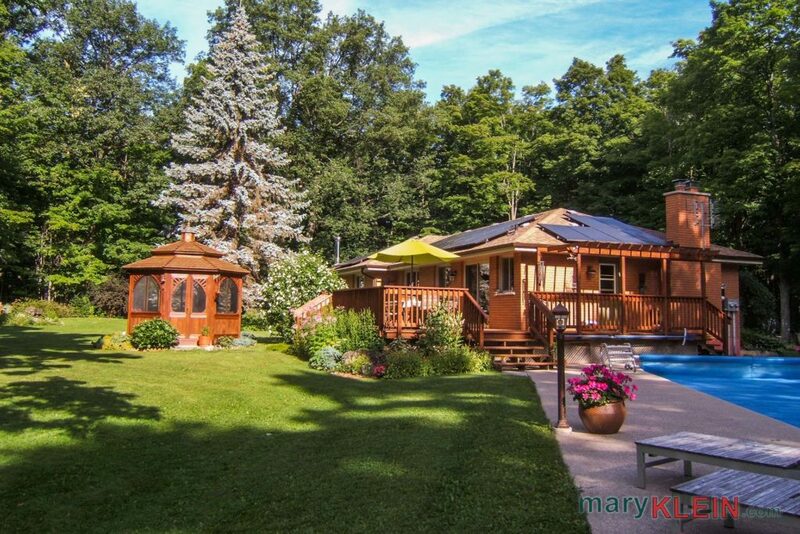 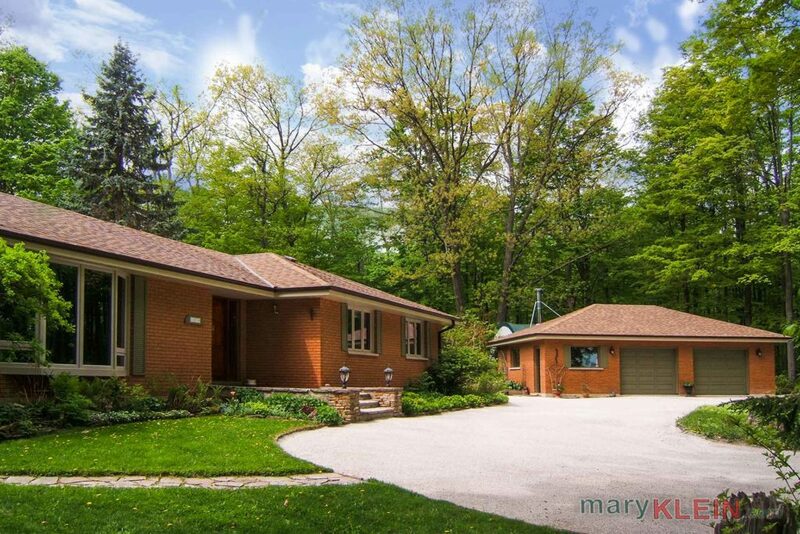 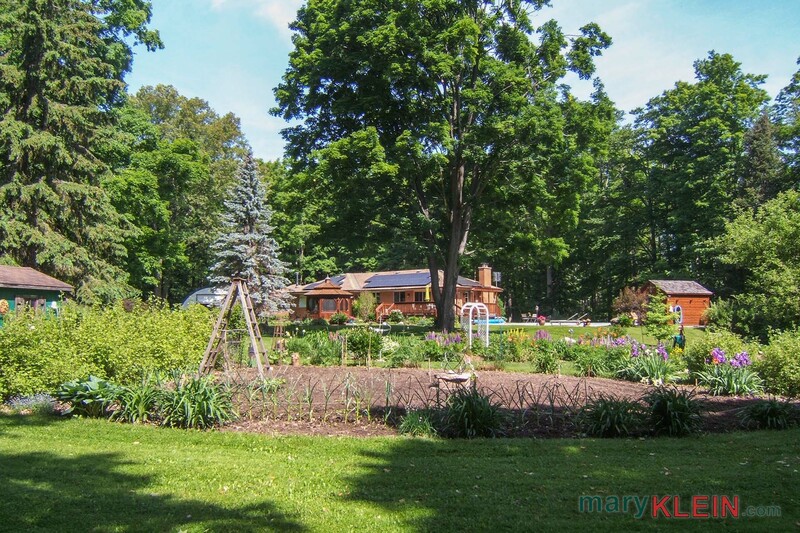 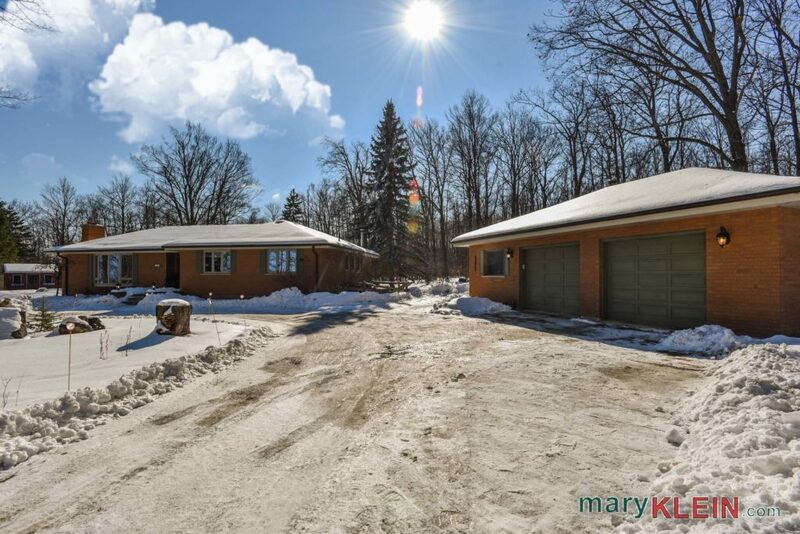 A nature lover’s paradise near the hamlet of Terra Cotta, is located on the Niagara Escarpment on a quiet dead-end, paved road, and has 9.21 acres with long, countryside and city views through the forested landscape. 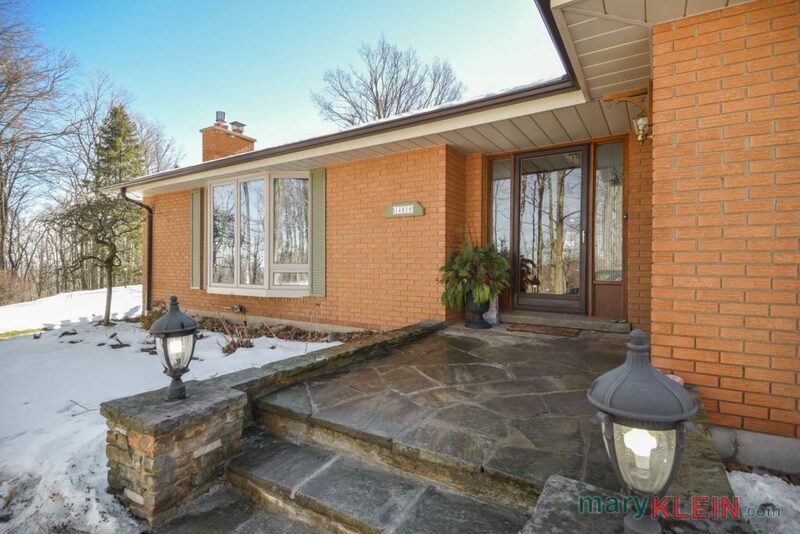 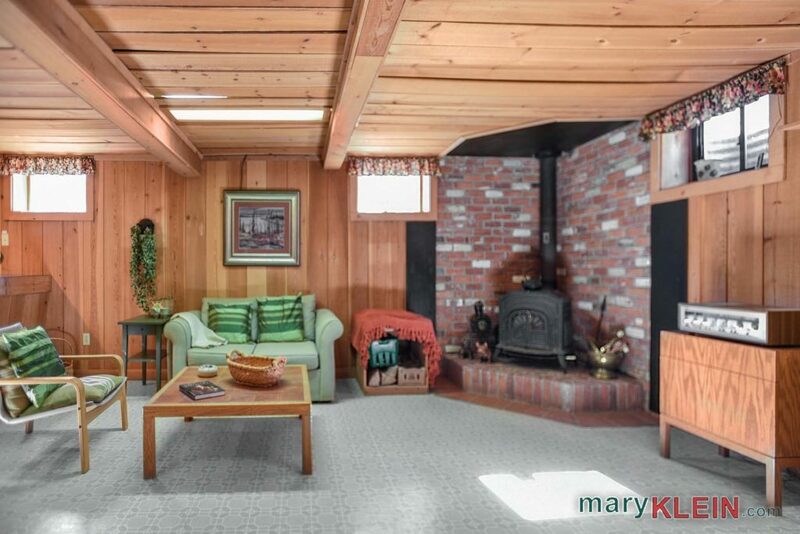 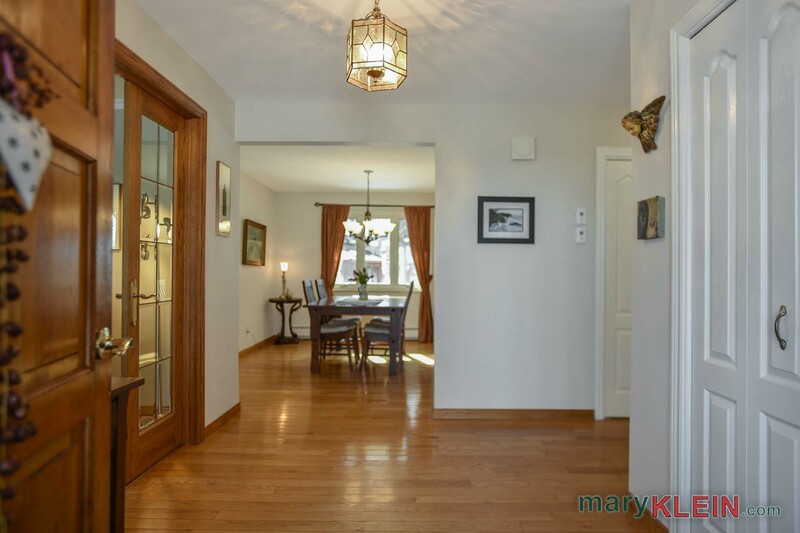 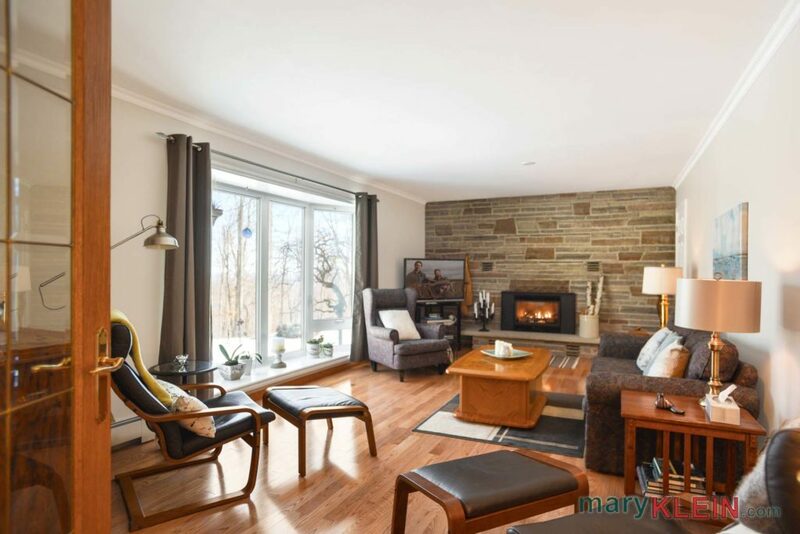 Built in 1971, features of this 4-bedroom, 2.5 bath brick bungalow (1780 square feet) plus finished basement, include spectacular, lovingly maintained perennial gardens, an in-ground salt-water, “natural ozone” pool, 20 x 40 ft. with cement surround, flagstone walkway and wraparound deck, and a 10 foot, octagonal gazebo with hydro, glass & screens. 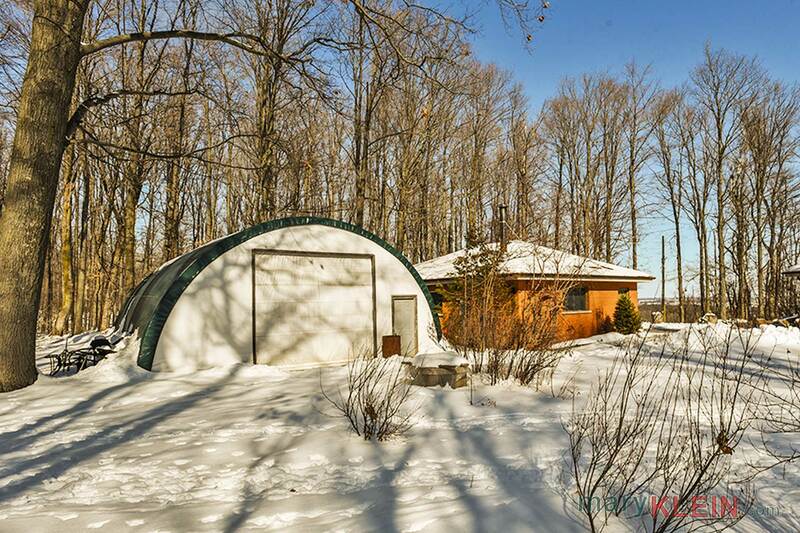 There is a large detached 2+car garage with woodstove & hydro for the car buff, plus a Quonset building for extra storage. 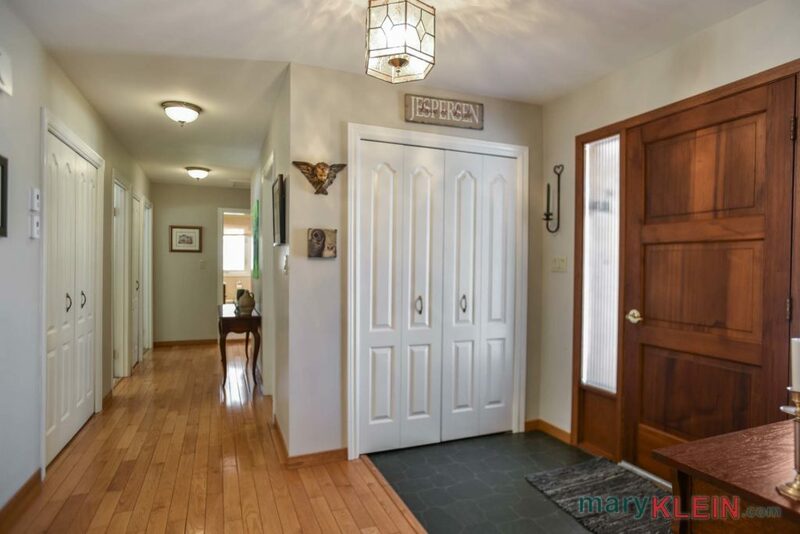 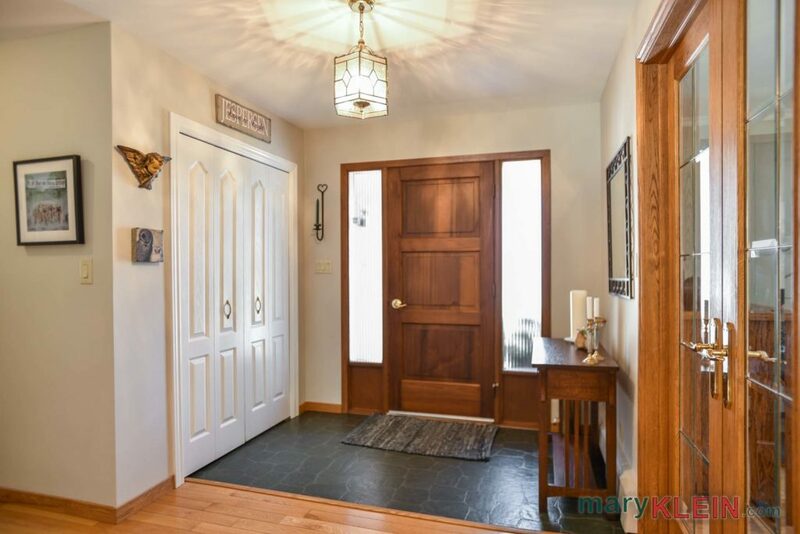 A solid wood entry door leads into the Foyer, which has a double door closet and vinyl flooring and newer hardwood flooring leads down the main hallway. 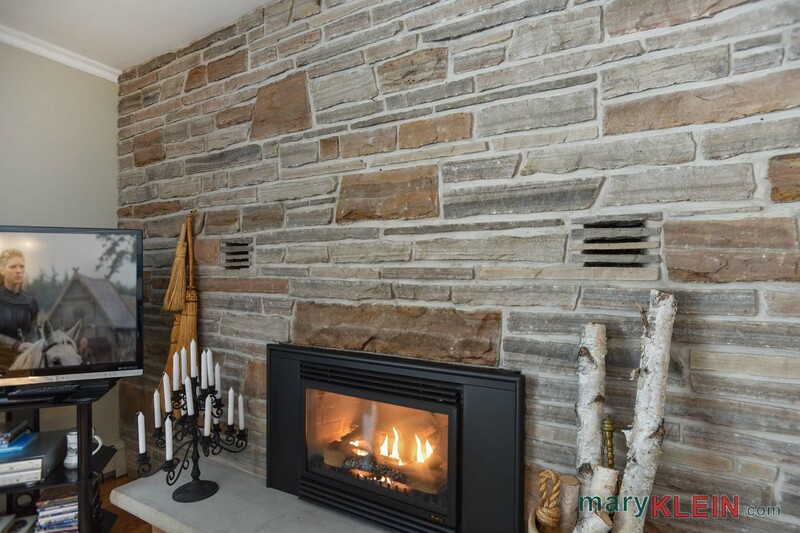 The Living Room has French doors at entry, oak hardwood, crown mouldings, and a wall-to-wall, angel-stone setting for the newer propane fireplace (Nov 16). 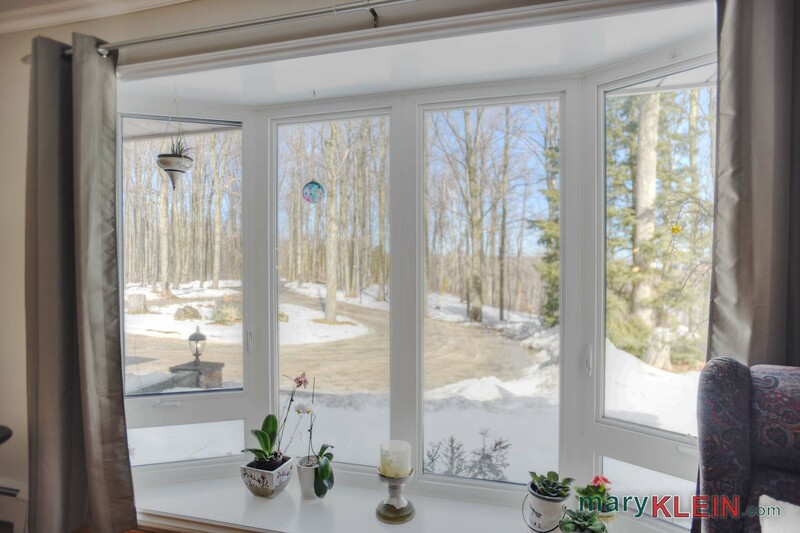 A bow window overlooks the front yard. 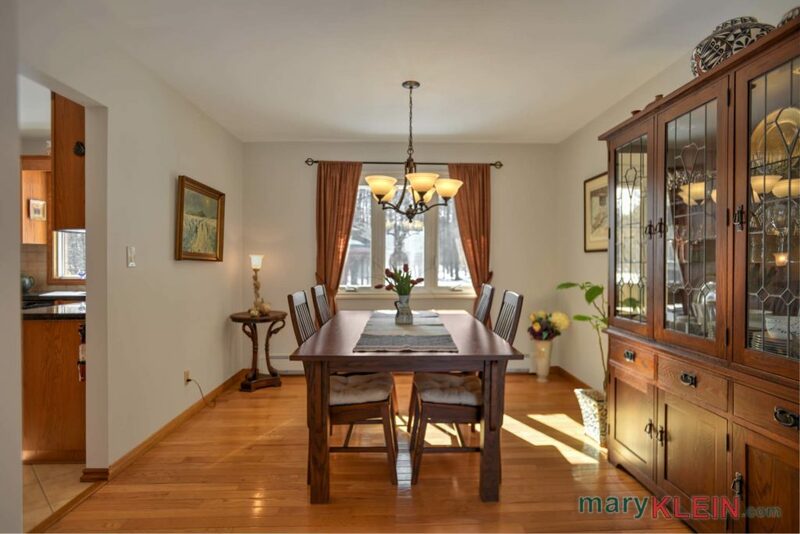 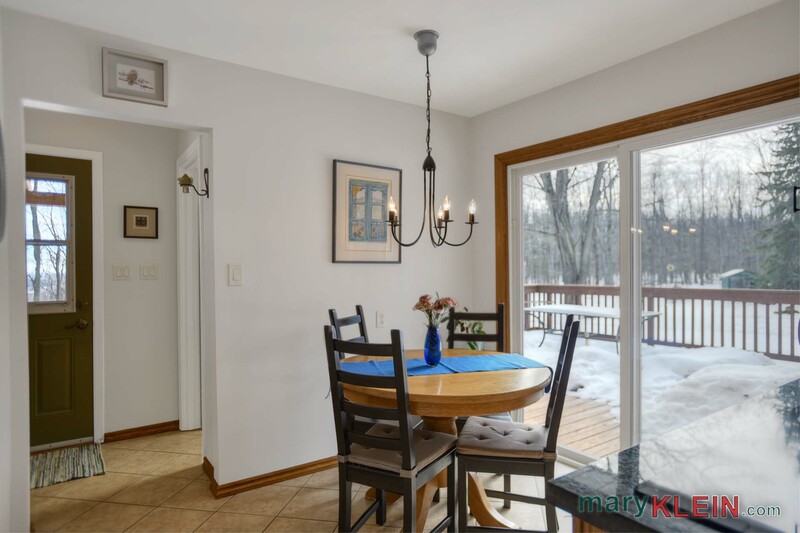 The formal Dining Room has oak hardwood and overlooks the backyard. 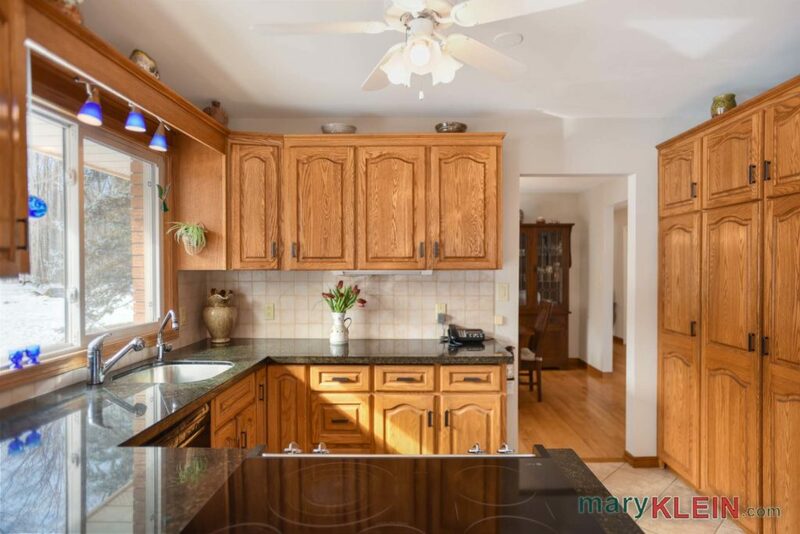 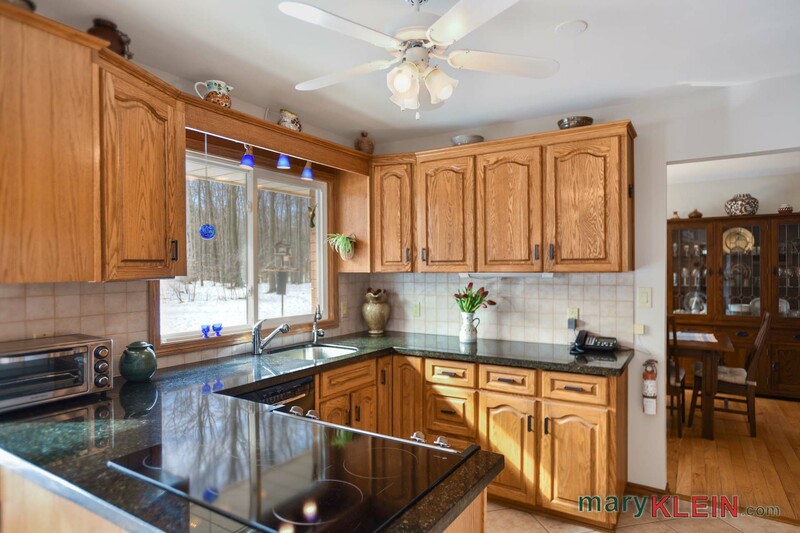 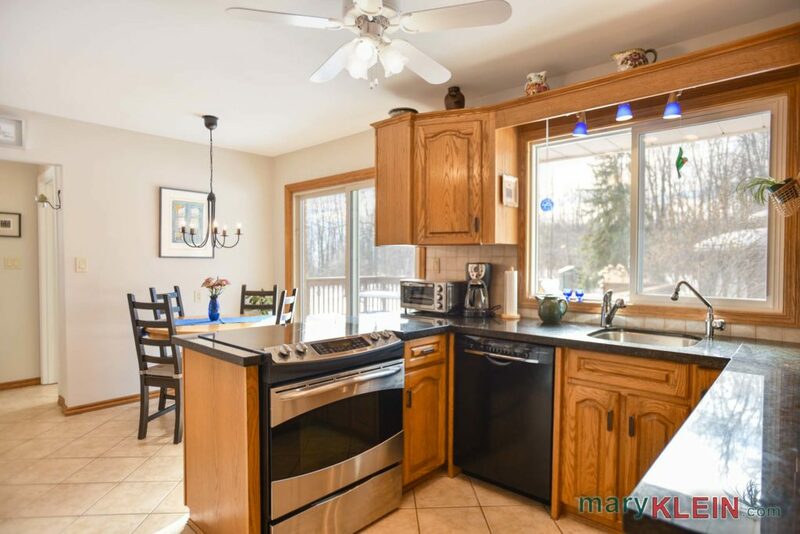 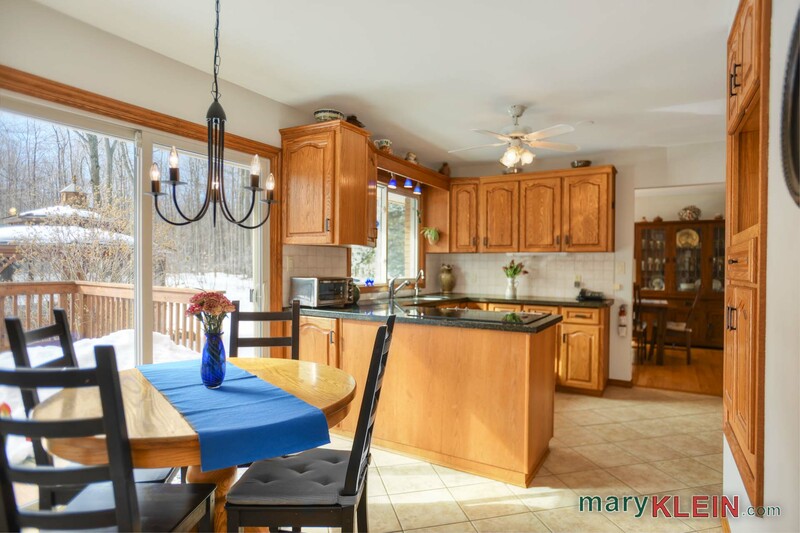 An oak kitchen with a breakfast area has newer appliances, ceramic flooring and slider door walk-out to the deck. 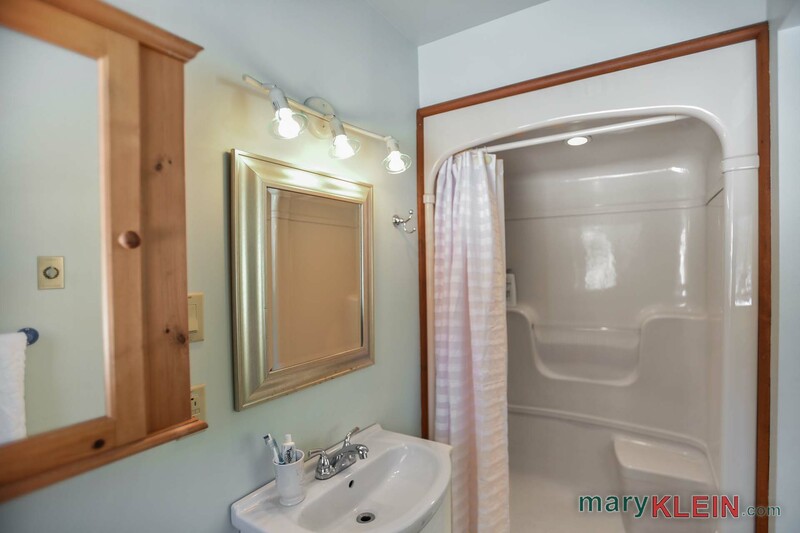 A Powder Room is conveniently located by a side door for easy access from the pool or the Kitchen. 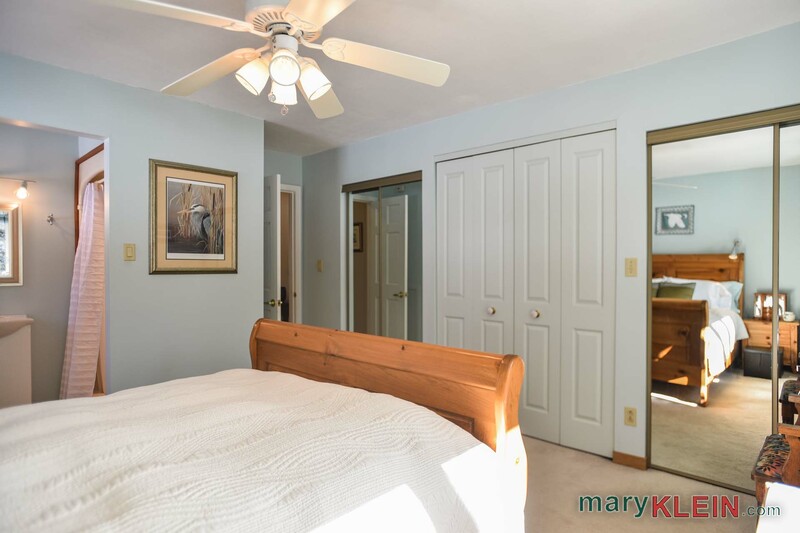 The Master Bedroom has broadloom and a wall of closets (two mirrored slider door closets, and two bi-fold doors), plus a 3-piece bathroom with step-in shower. 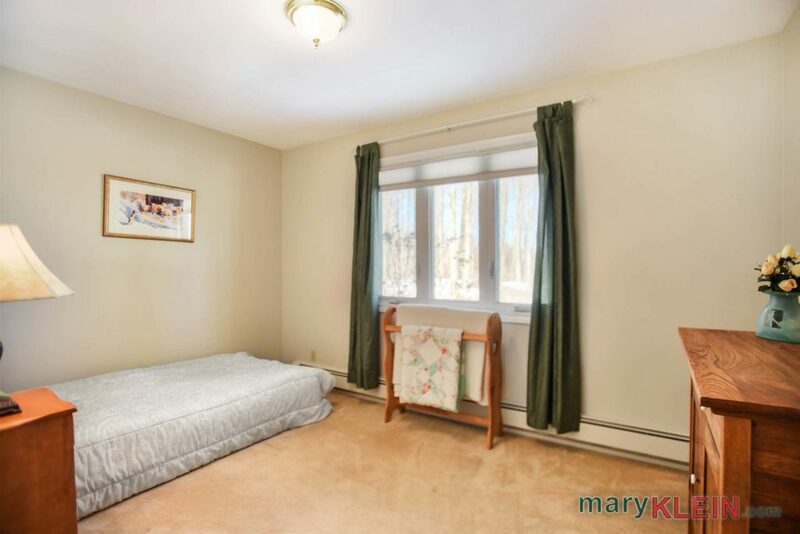 Bedroom #2 has broadloom and has two closets. Bedroom #3 has broadloom and a closet. Bedroom #4 is presently used as an Office, but is easily converted back if desired. 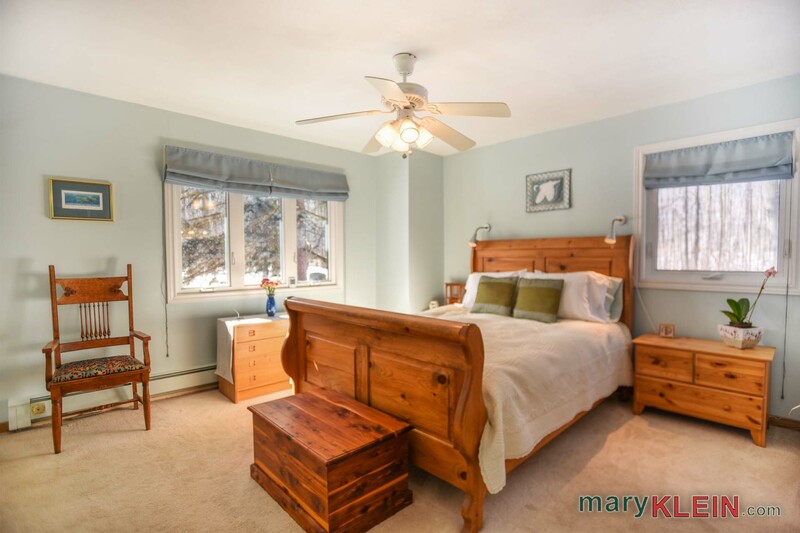 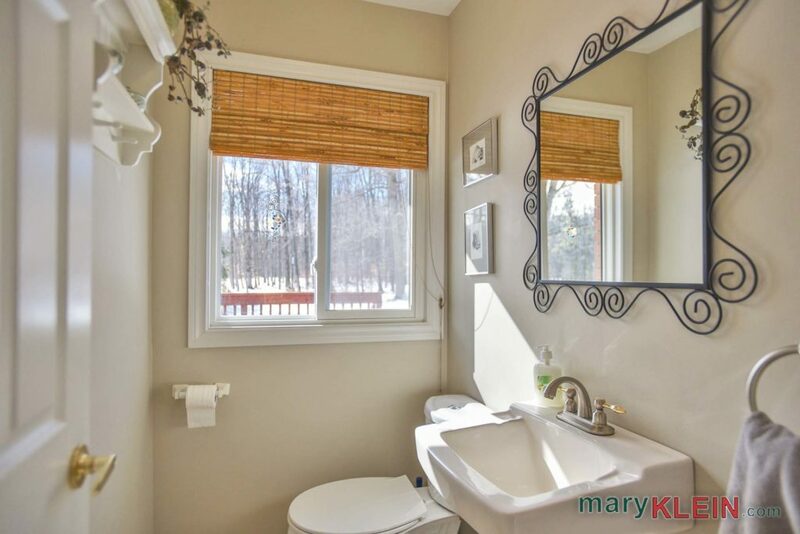 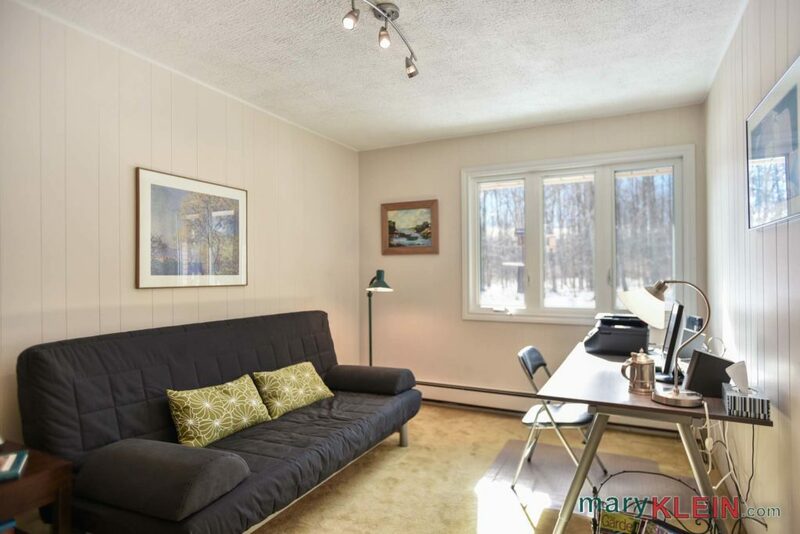 A lovely 5-piece Main Bathroom has granite counters, heated flooring and a bidet. 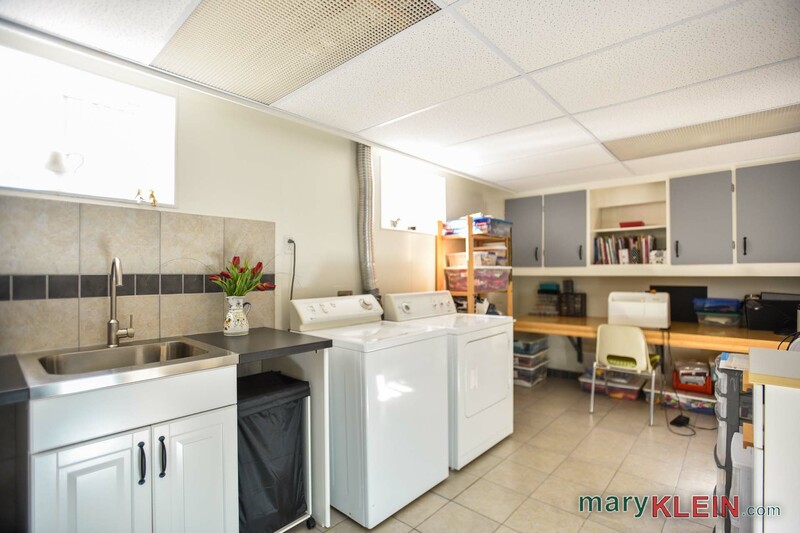 The Laundry Room is combined with a handy Sewing or Hobby workspace counter, and has a suspended ceiling, stainless sink, ceramic flooring, and built-in cabinetry for storage. 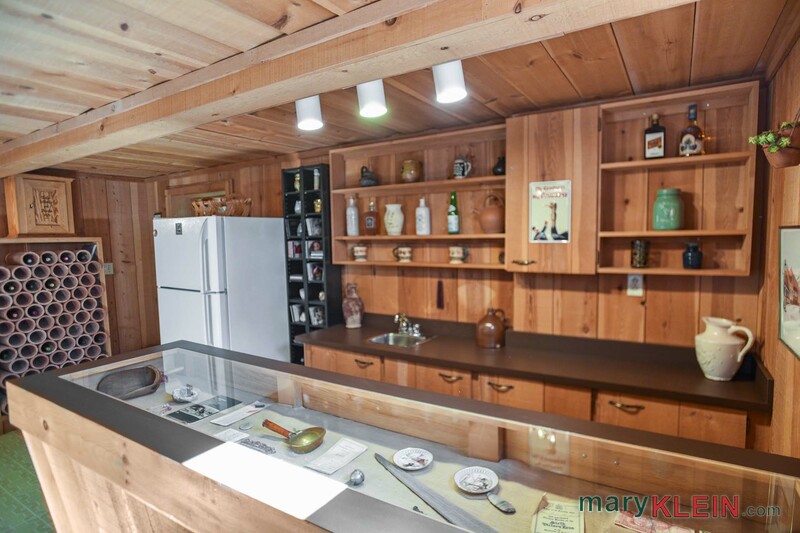 There is a large Cold Room for storage with cement floor. The Basement is finished with a warm, wood paneled and beamed, open concept Rec Room with vinyl flooring, a wood stove (W.E.T.T. 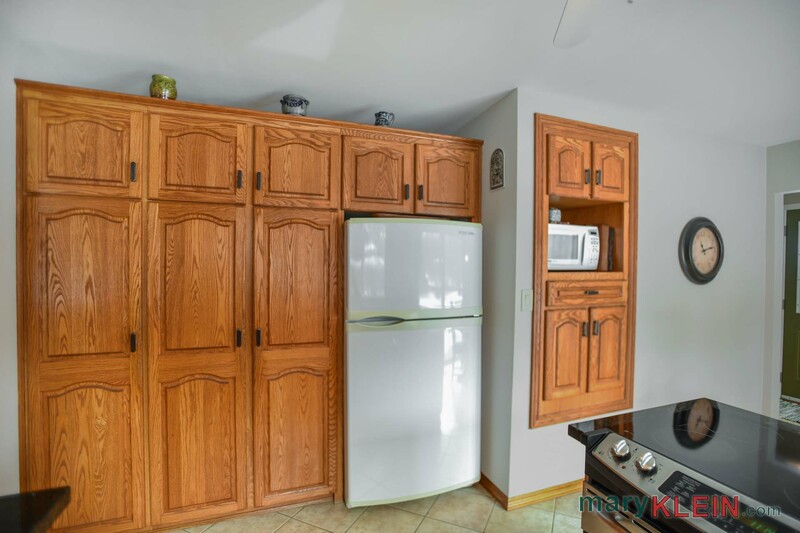 certified), above-grade windows, and built-in custom shelving and wet bar with fridge. 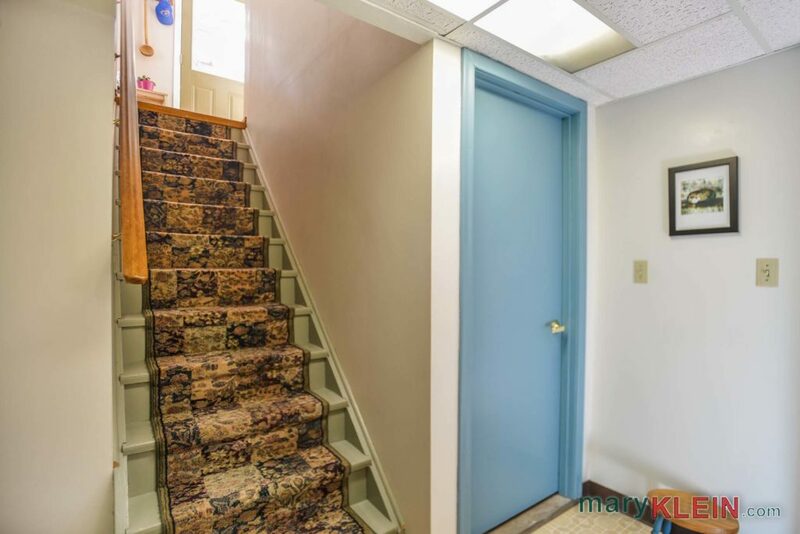 There is a convenient, separate entry/exit from and to the Basement. Mechanicals: 200 amp electrical service (copper); propane boiler heats water for hot water tank (very efficient “tank in a tank”); main heating system is hot water propane (2011), propane supplier, Edpro (London, On. ); drilled well approximately 50 feet deep with submersible pump & cistern to provide even pressure (2017), plus a U.V. 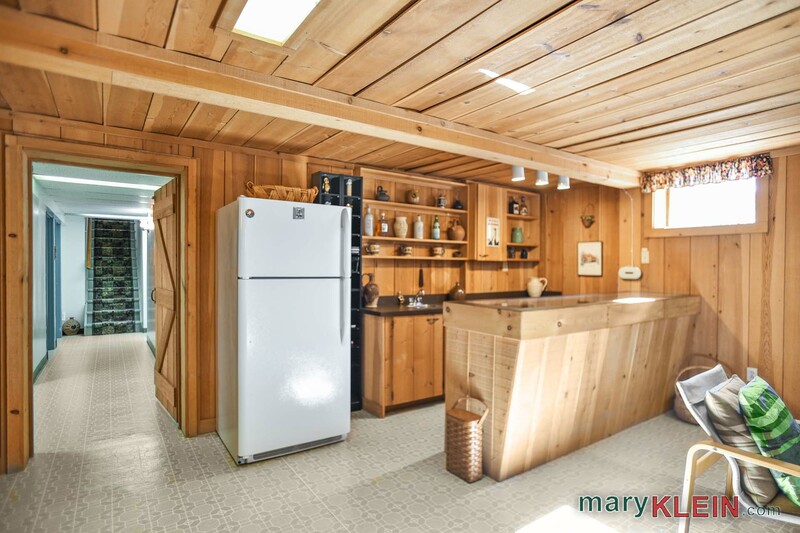 system, and water softener. The well is located near the “dome.” (An older Jet Stream, wood-fired hot water heating furnace is still in the basement and is not currently in use.) 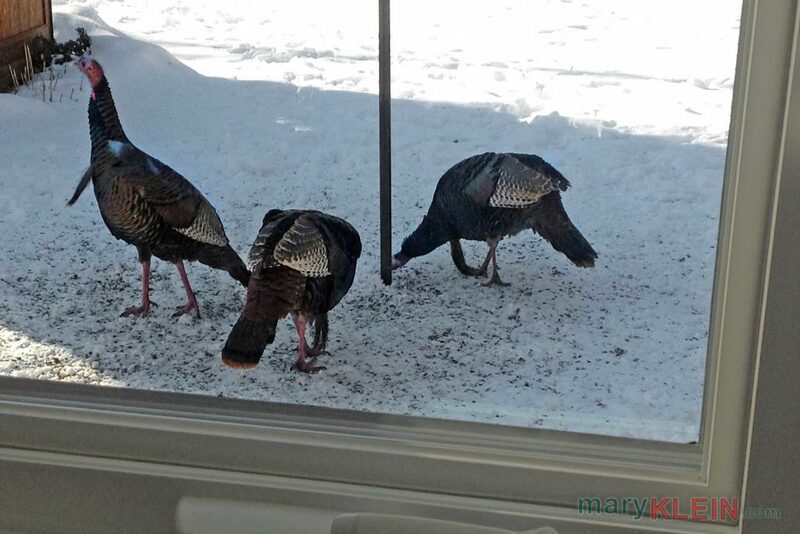 The septic system is original (under the bird feeder) and last pumped in 2015. 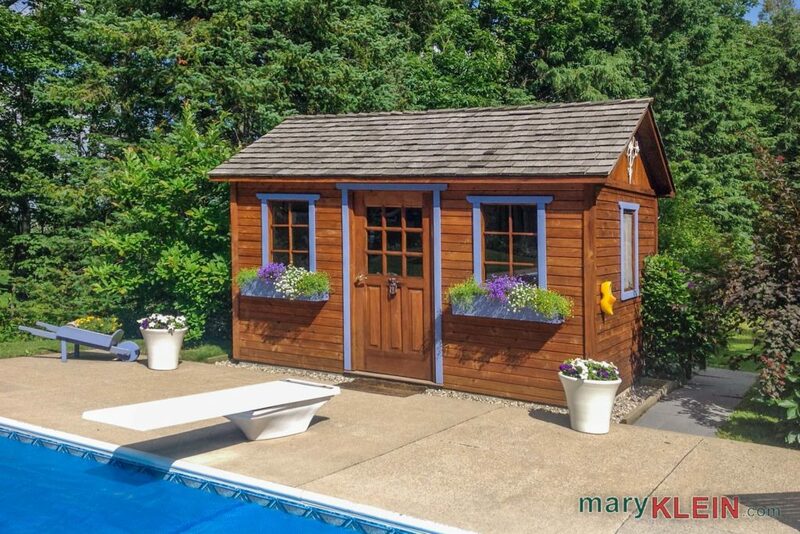 The roof was re-shingled in 2008, with 40-year shingles. 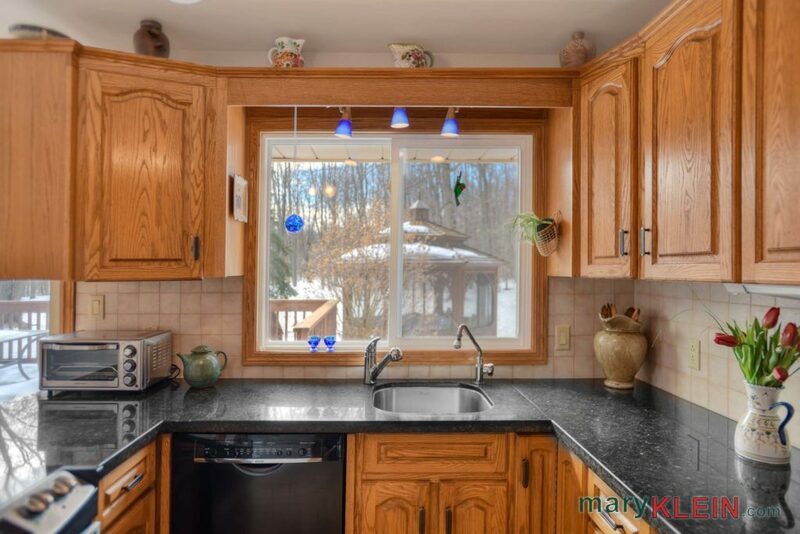 Windows are mostly newer triple glaze, excepting sliding door in kitchen. 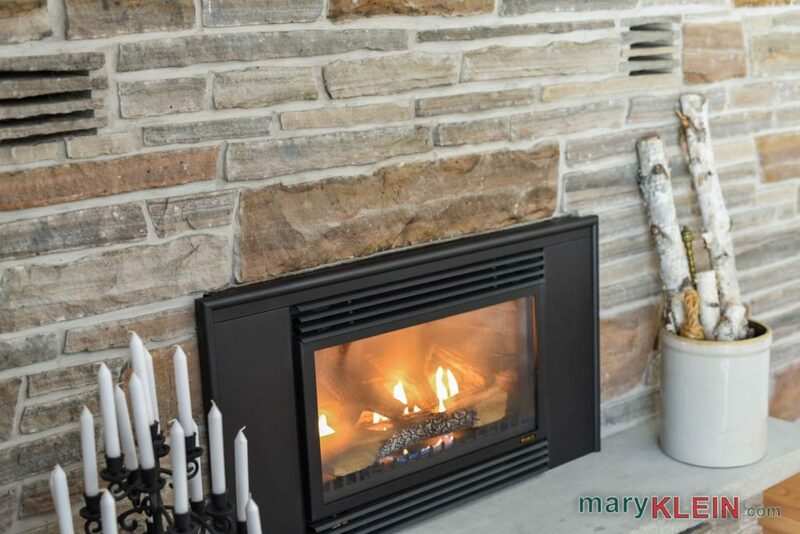 Hydro costs for 2016 were $2,844; propane costs approximately $1,642 in 2016, however, a newly installed gas fireplace may increase that amount for 2017. 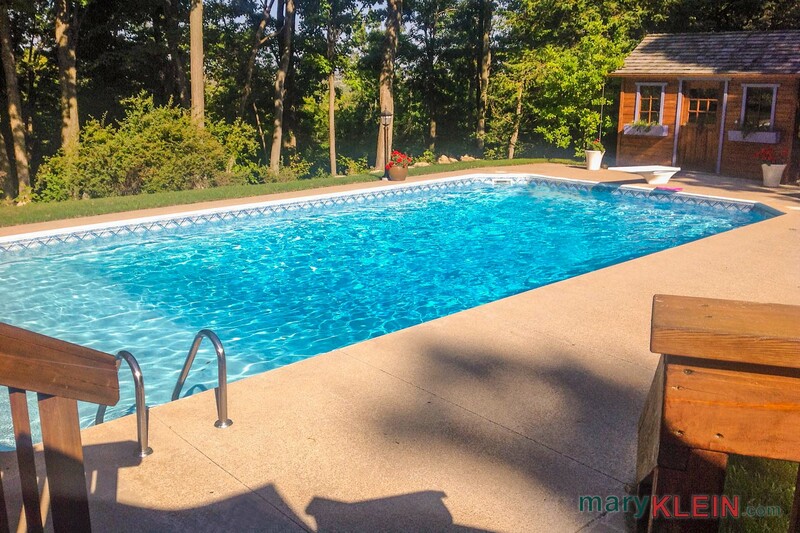 In-Ground Pool: State of the art, natural ozone pool, chemical free, 20 x 40 ft. has cement surround, and the pool liner, filter, pump, ozone generator and sanitizer, and safety winter cover were installed by Gibsan Pools in 2008. 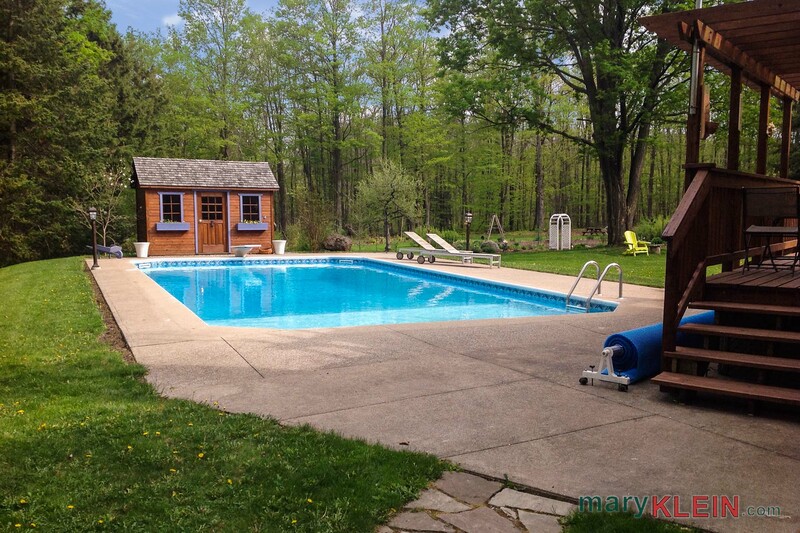 The pool is not heated. 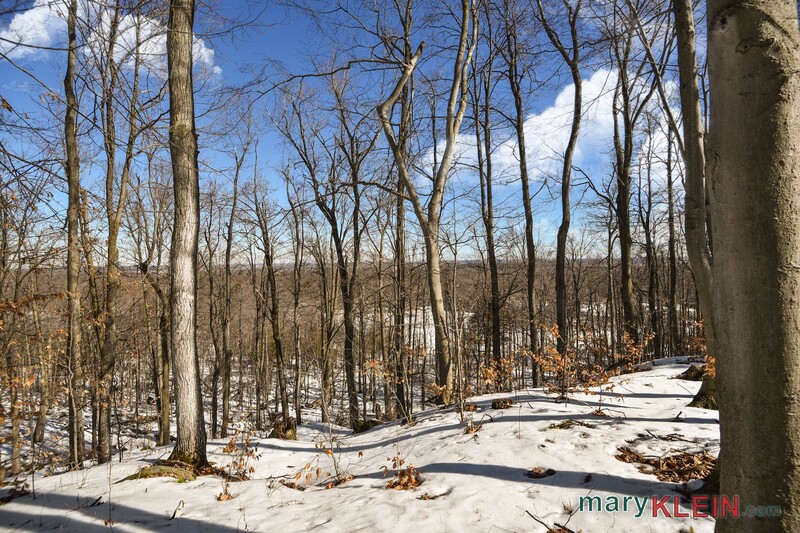 Lower taxes on this property are a result of the Conservation Land Tax Incentive Program.Taxes for 2016 were $2,562.  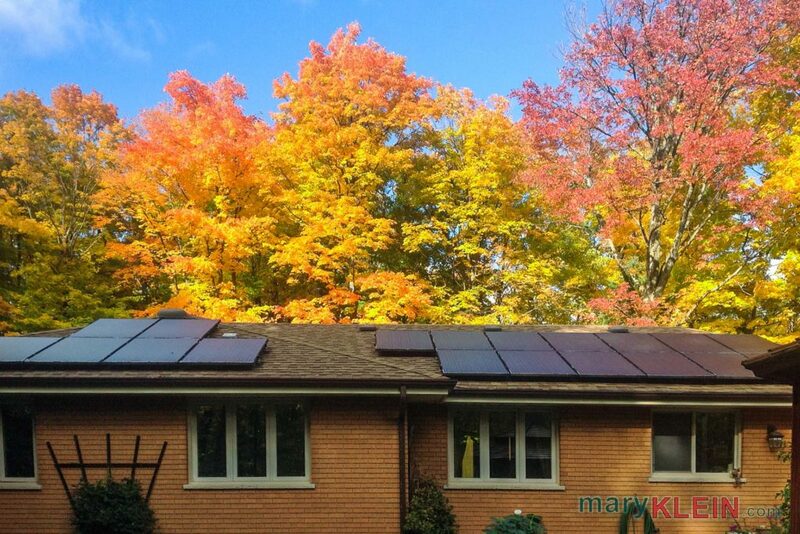 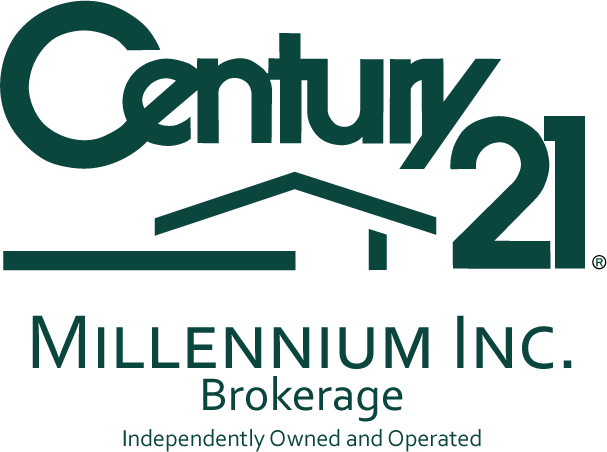 This property is regulated under the Niagara Escarpment Commission and Credit Valley Conservation. There is an existing Right of Way for entrance to this property which is shared with the neighbor to the north, 66 feet wide from Heritage Road to the lot line of this property (Part 1 on the survey). 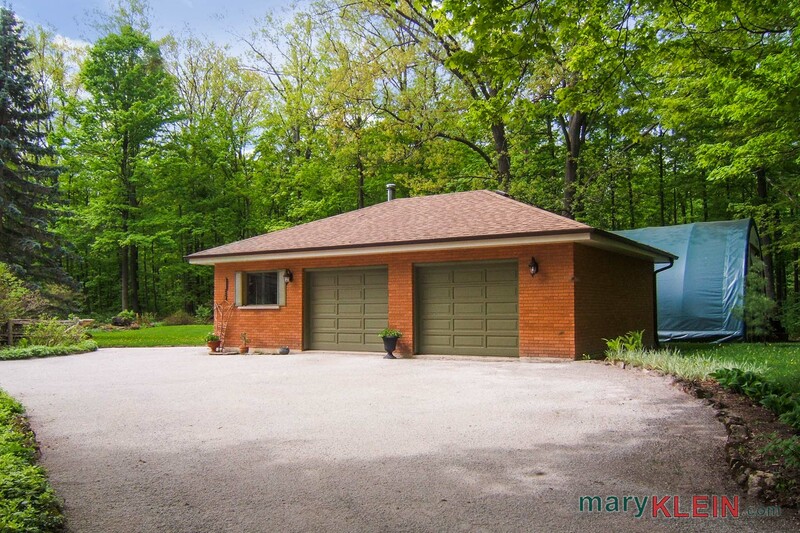 Detached Buildings: There is a 2+ car Garage with a W.E.T.T. 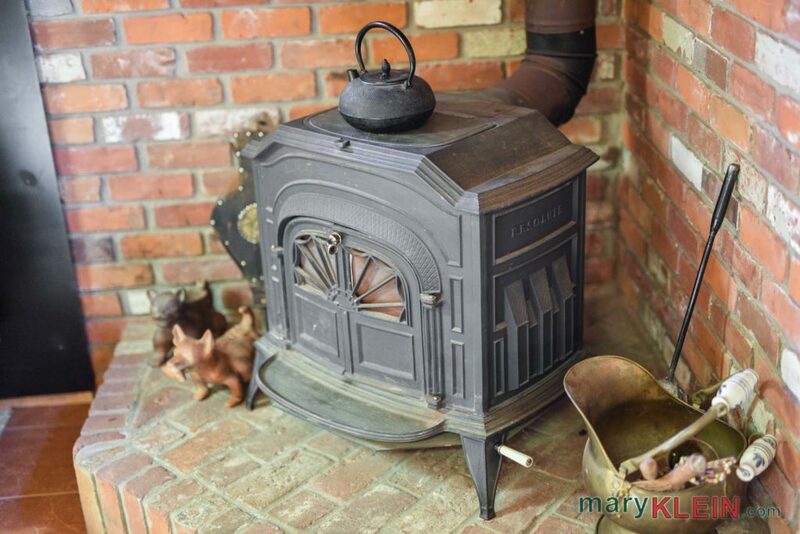 certified woodstove, 220 voltage, and 40 amp plugs for welding units in both garage and “dome.” The dome is approximately 30 x 40 feet. 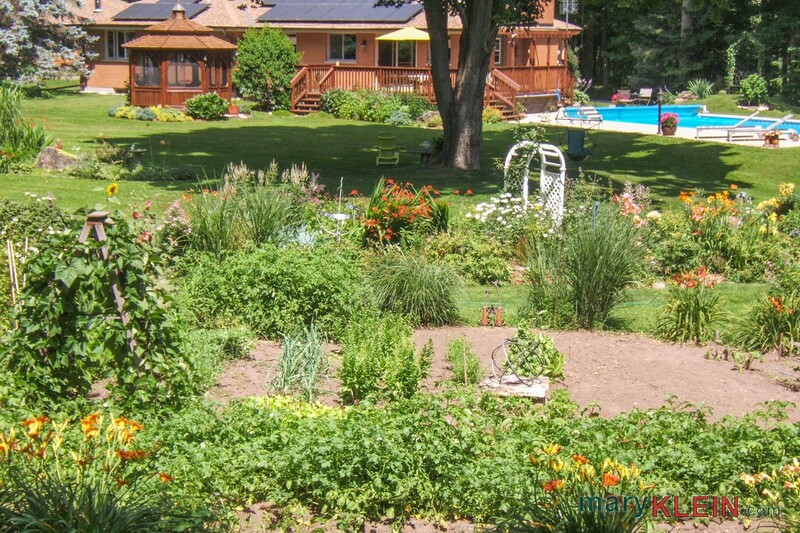 Internet is available through Bell or Rogers Turbo Hub. Bell satellite TV and home phone are available. 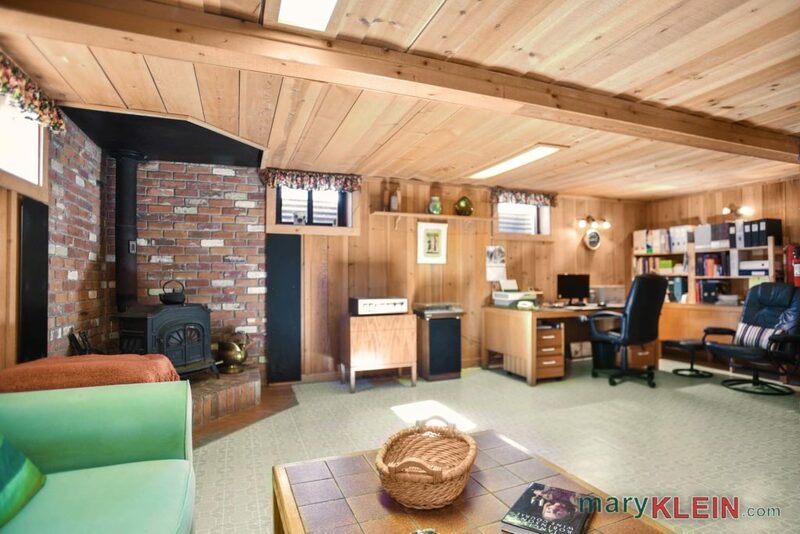 Owners do not currently have satellite TV or cable. Included in the purchase price: fridge, stove, built-in dishwasher, washer, dryer, hot water heater, all window blinds, all electric light fixtures, all bathroom mirrors, basement fridge & freezer, U.V. 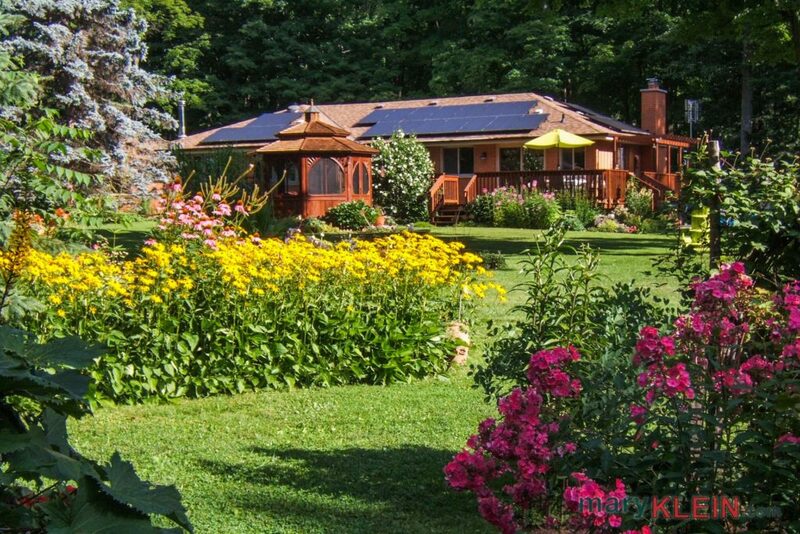 system, water softener, propane tank, pool equipment (spring-loaded safety cover, cabana, vacuum, solar blanket (not heated), gazebo. Please exclude: Garden solar clock. This wonderful piece of nature is private and forested with views, and at night one can enjoy the twinkling lights of the Toronto skyline. 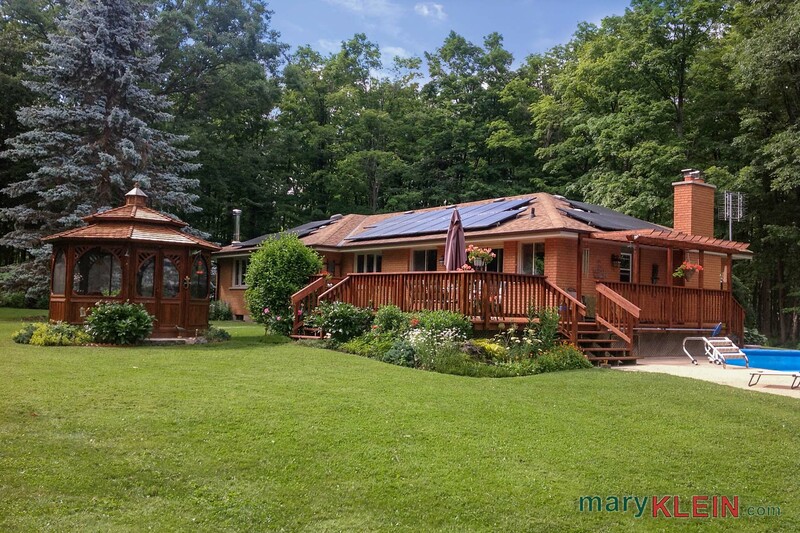 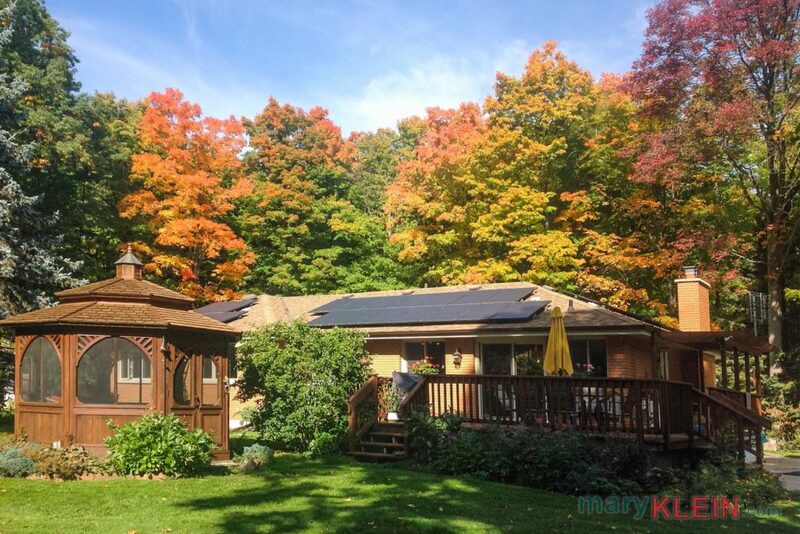 This natural oasis is situated near the quaint Hamlet of Terra Cotta with the ever-flowing Credit River, where there is fine dining at the Terra Cotta Inn, and the community oriented General Store. 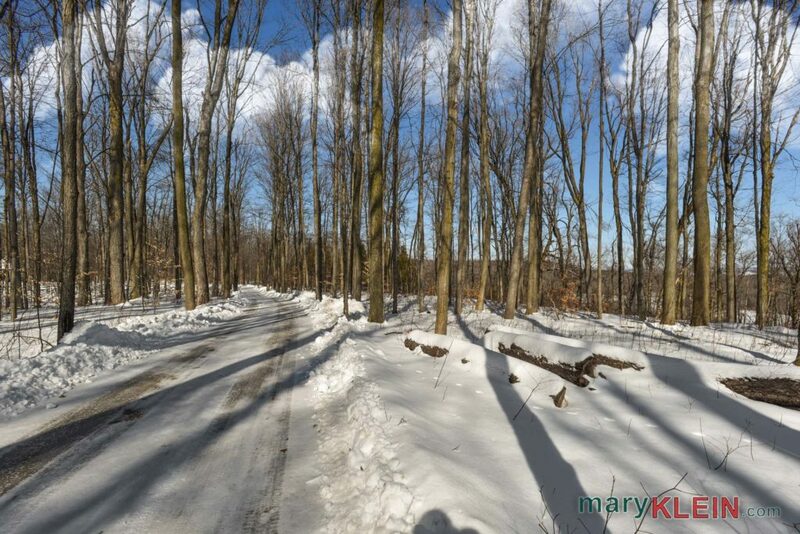 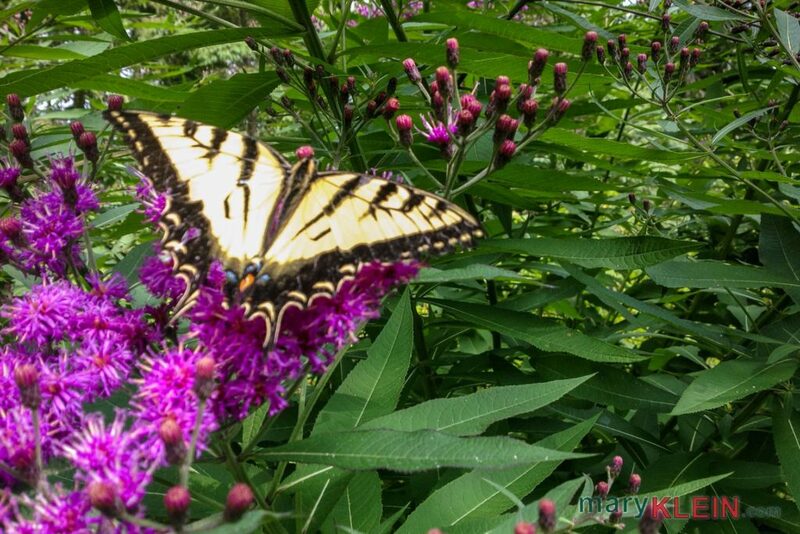 For hikers and outdoor enthusiasts, it is close to the Caledon Trailway, Terra Cotta Forest and Terra Cotta Conservation Area, as well as the Bruce Trail, which borders the south side of the property. 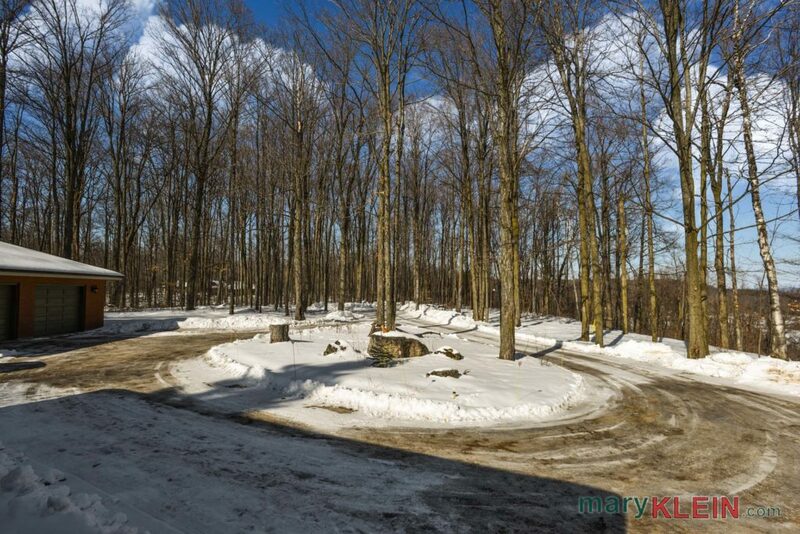 With its excellent proximity to all major paved roads, this location is ideal for commuters who wish to live peacefully in the country with nature at their doorstep, while continuing to work in the city. 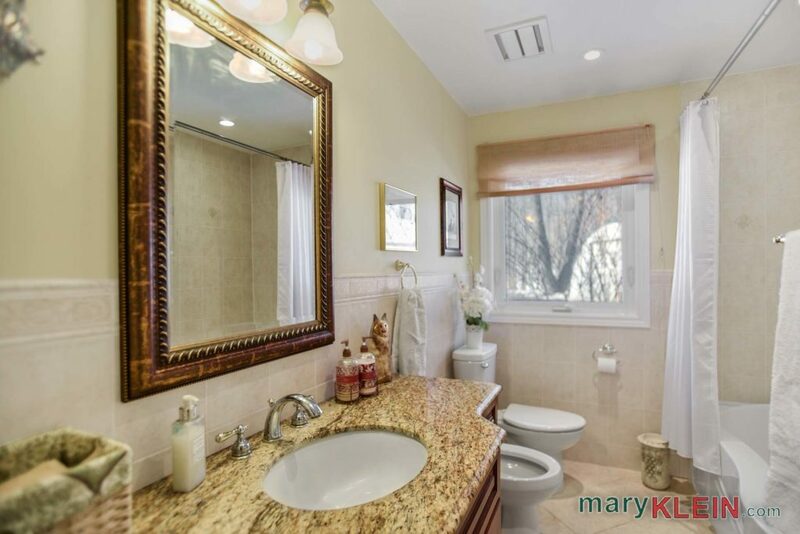 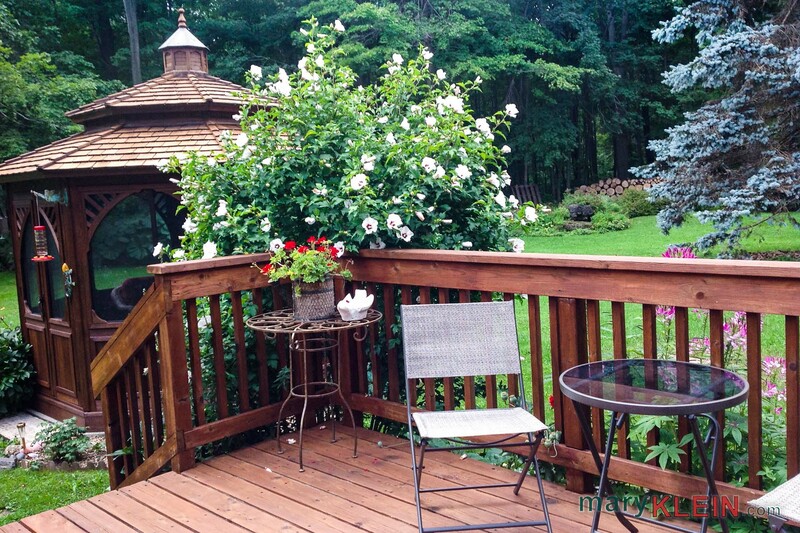 Wonderfully maintained by the owners, this home is sure to please the most discerning buyer. 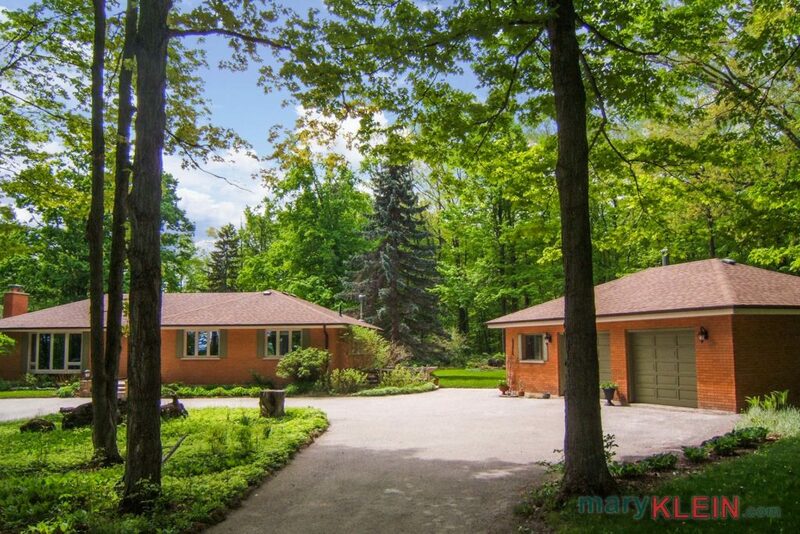 Do you Have a Question About 14628 Heritage Road, Caledon?